Annand Pagenkopf has performed across New York City and New Jersey with choreographers Doug Elkins, Brian Brooks, and Julia Ritter. She has also performed with Savion Glover in a tap performance in New York City, as well as Walt Disney World and Madison Square Garden. Annanda has over a decade of teaching experience with high school and elementary students, teaching performance skills, choreography, creative dance, ballet, modern, hip hop, and various other styles of dance. Annanda has been on faculty at The Dance Connection since 2016. She teaches ballet and little dancers classes and choreographs for the Dancelete competition team. In addition, she is the Assistant Director for The Dance Connection’s youth production of The Nutcracker. Previously, she has been a dance educator for The Joffery Ballet School in New York City, Mason Gross Extension Division, as well as various dance studios in New York and New Jersey. Annanda was fortunate to participate in the American Ballet Theatre (ABT) National Training Curriculum. There she received her ballet pedagogy and teaching certification, focusing on Pre-Primary to Level 3. She later was hired by ABT as a ballet instructor to teach students in Pre-Primary and Primary A at the American Ballet Theatre’s Jacqueline Kennedy Onassis Satellite School at Mason Gross School of the Arts. 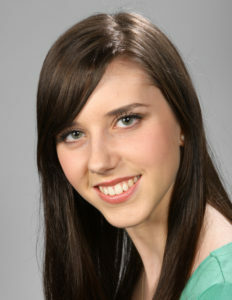 In addition to her teaching experience, Annanda is also experienced in writing dance curriculum. Together with a team of dance instructors, she helped write the PK-12 Dance Curriculum for the State of NJ Department of Education. This experience afforded her additional opportunities to instruct various dance styles, high school dance team, cheerleading, color guard, gymnastics, acrobatics and choreography across the state of New Jersey. Annanda’s love and passion for the art of dance is equal only to the love she has for her students. She has a passion for teaching children and supporting their artistic development through dance. Her wealth of experiences as both a performer and educator, combined with her dedication and passion for dance, creates a welcoming and exciting environment for her Dance Connection students to learn and grow.